Top Rated. 5-Stars. 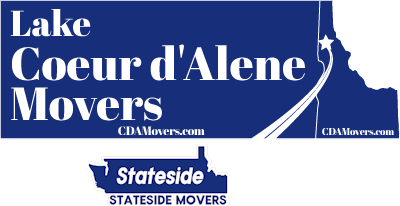 Serving Seattle with Professional Moving to or from Coeur d'Alene. Call Today. Free Quotes! Personalized, Five Star Service. Lake Coeur d'Alene Movers / Stateside Movers LLC provides long distance moving services from Seattle to Coeur d'alene. People are starting to discover the wonders of North Idaho as they seek to leave the busy lives of the Seattle metropolitan area. Out here in North Idaho there's land in all directions just about and there's a lot of room for growth. The Seattle area is hemmed between the Cascade Mountains and the Puget Sound and there's just no where for that population to spread to. Thus Seattle has the horrible traffic we hear about. Add to that the rain Seattle is famous for and it's no wonder that some Seattle residents are making the escape and finding little known gems like Coeur d'Alene. Take away the Seattle traffic and life suddenly moves at a lot more relaxed pace. That urge to flee the city dissipates and you see yourself surrounded by nearby forests and even the lake itself. A stroll through the city park near downtown Coeur d'Alene is like being on an instant vacation. This is a city people come from around the world to visit and you now have the opportunity to actually live here and retire or just raise a family. This is a unique and very upscale resort area with a world class Lakefront resort and even famous golf course and it's floating hole on the lake itself, a marina with the world's longest wrap around dock, camp grounds and Native People's casino. It is a year round community offering skiing, fishing, and more. Call or text us at (208) 770-0845 for a free quote on moving to or from Seattle to Coeur d'Alene, Idaho. We are a professional five star moving company and offer full service moving to whatever level you want to take it. That means that if you don't want to do any packing at all due to time constraints, that is fine with us. We are glad to tackle all your packing needs and use professional methods to protect glassware, electronics, artwork, antiques, glass cabinets, and more to ensure that everything is transported without any scratches, scuffs, or dings. 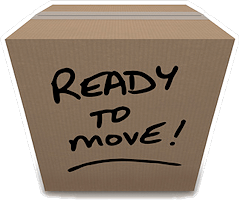 Ready to get a quote on your Seattle to Coeur d'Alene long distance moving? By going with a Coeur d'Alene company you are likely to get a much more personalized experience as we are professional from start to completion on every move. We are not a van line and will not ship your belongings on a semi with the shipments of other customers. 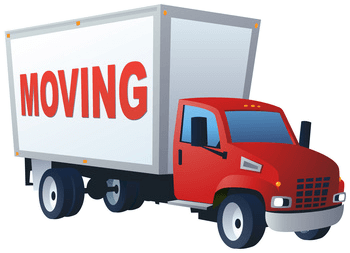 That is a regular practice of national moving companies which are actually a lot more like trucking companies and just do not compare to a five star mover. National movers often broker out there shipments and sometimes that means a truck driver shows up with some cheap labor he just hired off Craigslist, and though they are subcontracted by that big national mover, you don't realize it because you see a semi trailer with a large brand on it and assume that's who's doing your move. Happens all the time and is one reason national moving companies have had so many insurance claims and items stolen, lost, or damaged on a move. By going with us you have the peace of mind that you are receiving a professional move from professional movers and our committment is to five star quality service.